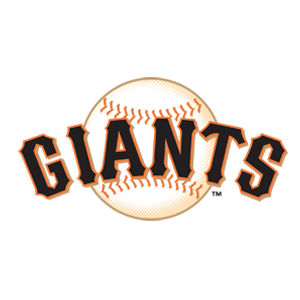 The San Francisco Giants promote responsible drinking and positive fan behavior at Oracle Park. The Giants Fan Code of Conduct and the details of the Giants alcohol management plan that appear below ensure that fans have a safe and fun experience. No alcohol (this includes non-alcoholic beer and wine) or illegal drugs may be brought into Oracle Park. Anyone found drinking under the legal age, using illegal drugs, or breaking any other laws, will be subject to immediate ejection and criminal prosecution. Any guest perceived to be in an intoxicated or impaired state may be denied admission to the park. Oracle Park is a Smoke-Free ballpark. Electronic smoking and smoking by vaporization are included in this “Smoke-Free” designation and are prohibited. Guests who fail to comply with Oracle Park’s No-Smoking policy may be asked to exit the ballpark. The Giants are proud of the rich diversity of our fan base who cheer us on at Oracle Park. It is in this spirit that we urge all fans to be mindful and respectful of each other. Any fan wearing culturally insensitive attire, using obscene or abusive language, engaging in antisocial conduct offensive to those around them or displaying any other offensive behavior is subject to removal from the ballpark. If you observe a fan acting in this manner, please contact Giants security by texting the word “FOUL” to 69050, followed by your message. Please do not take the matter into your own hands. Guests entering the playing field, or who throw (or attempt to throw) objects, with the exception of home run balls, in the stands or onto the field, are subject to ejection and criminal prosecution. Fans interfering while a ball is in play are subject to ejection. Guests should keep their ticket stubs with them at all times. Guests are encouraged to place children’s ticket stubs in the child’s pocket or pin them to a shirt or jacket. Tickets must be shown to any and all ballpark employees and SFPD personnel upon request. Sealed plastic bottles and soft-sided juice containers containing non-alcoholic beverages are allowed in Oracle Park. Unsealed plastic bottles and soft-sided containers will be subject to inspection and may be confiscated. Glass and metal cans are not permitted. Alcoholic beverages cannot be brought into the ballpark. Items intended for sale or trade may not be brought onto Oracle Park property, including the main parking lot, without a permit or license. Air horns are prohibited in the park. These items may be confiscated. Tailgating is allowed only in specially designated areas of the Oracle Park parking lot, or in the space occupied by the guest’s car. Only one parking space is allowed per vehicle. Large bags or containers measuring OVER 16″ x 16″ x 8″ are NOT allowed into the ballpark. All permitted bags, including purses, briefcases, and diaper bags (smaller than 16″ x 16″ x 8″) may be searched before entering the park. Fans are encouraged to arrive early to allow additional time when entering the park. Per MLB guidelines, NO HARD-SIDED coolers will be allowed. Soft-sided coolers are permitted. All bags and containers are subject to search. The Designated Driver program encourages guests to pledge not to consume alcohol during their stay at Oracle Park. Those who participate receive a coupon for one free soft drink, coffee or hot chocolate. Guests may sign up at the desk outside of the Guest Services Office behind Section 119 through the end of the third inning. Any guest wearing a Designated Driver wristband and consuming alcohol is subject to ejection from the ballpark.